Action cams are all the rage nowadays, and with spring underway, there’s no better time to jump into the world of these compact cameras. If you’ve been considering one and don’t want to commit to the hefty price of a high-end GoPro, Amazon now has the discontinued 1080p Polaroid Cube on sale for as low as $58 while supplies last. This pint-sized pocket cam uses a wide-angle lens with a 124-degree field of view for shooting video and taking still pictures. The Cube can record footage in 1080p Full HD at 30 frames per second, and supports MicroSD cards up to 32GB. The internal battery offers 90 minutes of continuous power before needing a charge. The Cube’s rubberized housing is splash-proof and weatherproof, and a built-in magnet on the bottom of the unit lets you easily mount the camera to any suitable metal surface with no need for add-ons. Want extra protection or different attachment options for taking this camera on outdoor adventures? No problem. A wide array of compatible shock-proof, waterproof, and other cases and mounts are available. Polaroid has discontinued the 1080p version of this tiny camera, so this is a great chance to score a Cube for cheap before they’re gone. It normally retails for $100 but is now on sale on Amazon at $58 for the blue and red models and $62 for the black, saving you 42 percent and 38 percent respectively (or $42 and $38). If you want to add a bumper case for mounting and protecting your camera, the Polaroid Cube shock-proof case is available for $22.50. 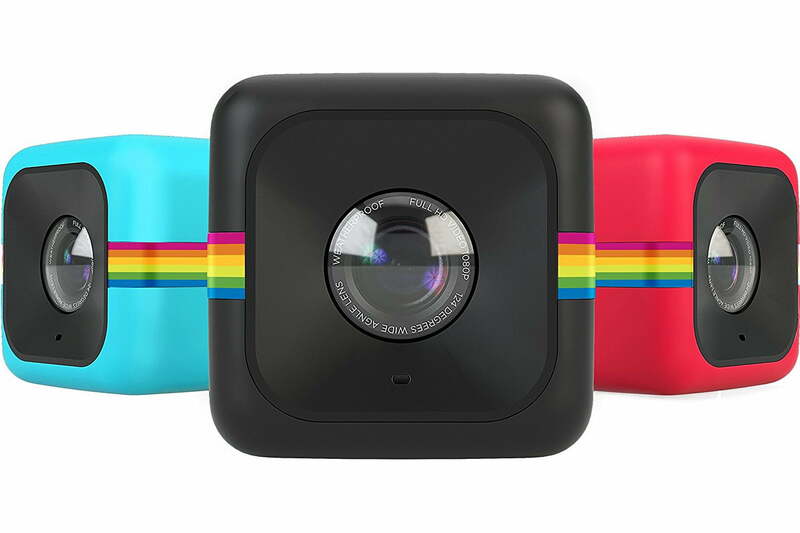 Note that the 1080p model has been replaced with the newer 1440p Polaroid Cube+ with Wi-Fi capability. If the higher resolution and wireless connectivity are worth paying extra to you, then the Cube+ is also on sale from Amazon for $100.